read the email of your child? reading your kid's email to finding out who they talk to online. monitor all activities on your computer with complete secrecy. continually monitor a computer without even touching it!!! child's computer even if you lack physical access to it. easy as checking your email!!! Download SpyRecon instantly, after purchasing! 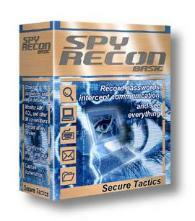 keeps all personal information completely confidential. MSN, Hotmail, Livejournals, Neopets and many more! If you have any additional questions check out our FAQ.